Gaya Engineering College Gaya is situated on the place of Lord Mahatma Budha. It is a fast growing technical institution in Bihar. It is established in 2008 and inaugurated by Hon. Chief Minister of Bihar Mr. Nitish Kumar. It is fully Government Engineering College managed by Govt. of Bihar under administrative control of Department of science and technology. It is well maintained and equipped. It is affiliated to Aryabhatta Knowledge University,Patna. GEC presently offer under graduate (UG) courses in four streams of engineering. Placements: companies is coming from the month of January. All the students of final year are informed to submit their resume at college office as soon as possible. Campus: Gaya Engineering College Gaya is situated on the place of Lord Mahatma Budha. It is a fast growing technical institution in Bihar. It is established in 2008 and inaugurated by Hon. Chief Minister of Bihar Mr. Nitish Kumar. It is fully Government Engineering College managed by Govt. of Bihar under administrative control of Department of science and technology. It is well maintained and equipped. It is affiliated to Aryabhatta Knowledge University,Patna. GEC presently offer under graduate (UG) courses in four streams of engineering. The weather condition is pleasant with minimum temperature variation between 5 to 10 degree centigrade and rainfall of about 100cms. The campus has unique location in the sense that it enjoys all the amenities of the city & the inmates are almost free from the adverse menace of environmental pollution. Central library: GEC has well equipped library. This library has a collection of text and reference books related to the course of study. A set of essential text book is being issued to the students individually. 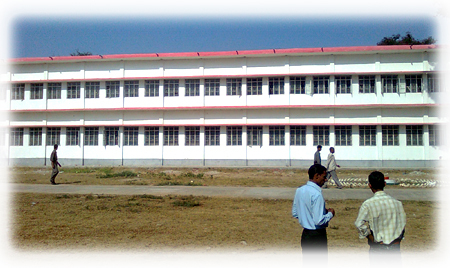 Hostel: GEC provide hostel facility to the students. Hostels are well maintained and set up with the modern facility like telephones, Color LCD television Common room, in-door games court. All rooms are single seated for the students. Each student has an individual cot, reading table, chair, fans and wardrobe of each of it occupants. Rooms are well lit and well ventilated. A mess with its dining room is functioning in the hostel, Breakfast, lunch and dinner is being served at a reasonable rate (Rs -1000/- to Rs -1500/-).